Ariens Compact Series Two-Stage Electric Start Gas Snow Blower comes in 2 models - Model:920013 with 22" clearance width and Model: 920014 with 24" clearance width. These snow blowers can take on nearly a foot of snow and can clear the heaviest wet snow easily. Ariens Compact series is easy to start and starts on the first pull. The compact design makes them easy to maneuver and use them even in the tightest areas. These snow blowers can efficiently clear driveways, sidewalks and patios in minimal passes. There are 6 forward speeds and 2 reverse speeds to accommodate different conditions. These machines are reliable and durable with heavy-duty cast iron gear case with alloy steel gears and L-3 synthetic severe-duty gear oil. There are 6 forward speeds and 2 reverse speeds to accommodate different conditions. These machines are reliable and durable with heavy-duty cast iron gear case with alloy steel gears and L-3 synthetic severe-duty gear oil. Also, these snow blowers are easy on gas even when used on full power. There is a in dash halogen headlight to provide bright illumination. A folding tubular steel handlebar makes it easy to store when not in use. Overall, the Ariens Compact Series Two-Stage Electric Start Gas Snow Blowers are lightweight snow blowers with a heavy-duty attitude. These machines work very well and are easy to use and maintain. The Power Clear 621 QZE 21" Gas Quick Chute Snow Blower (Model: 38459) is the top of the line single-stage model from Toro. It comes standard with push button electric start and features the innovative Quick Chute control that allows you to instantly change the direction of the chute while you throw the snow. A Zip Deflector control allows you to position the deflector high, low and anywhere in between. It's 21-inch wide swath and the amazing Power Propel™ drive system make it easy to clear snow right down to the pavement throwing it up to 35 feet away. Toro 621 QZE is powerful and strong enough to take on serious snow, yet easy for anyone to maneuver. It is easy to setup, load and use. This machine gives dependable and powerful performance for long time. Toro 621 QZE is powerful and strong enough to take on serious snow, yet easy for anyone to maneuver. It is easy to setup, load and use. This machine gives dependable and powerful performance for long time. A curved rotor and inverted funnel housing, moves more snow in less time and virtually eliminates clogging. It features a powerful 4 stroke 163cc OHV engine to plow through the deep snow. Many reviewers complain that filling the oil in this machine is a pain since the oil cap is located in an awkward and hard to reach location. Overall, the Toro Power Clear 621 QZE 21" Gas Quick Chute Snow Blower is one of the best single stage snow blowers available. 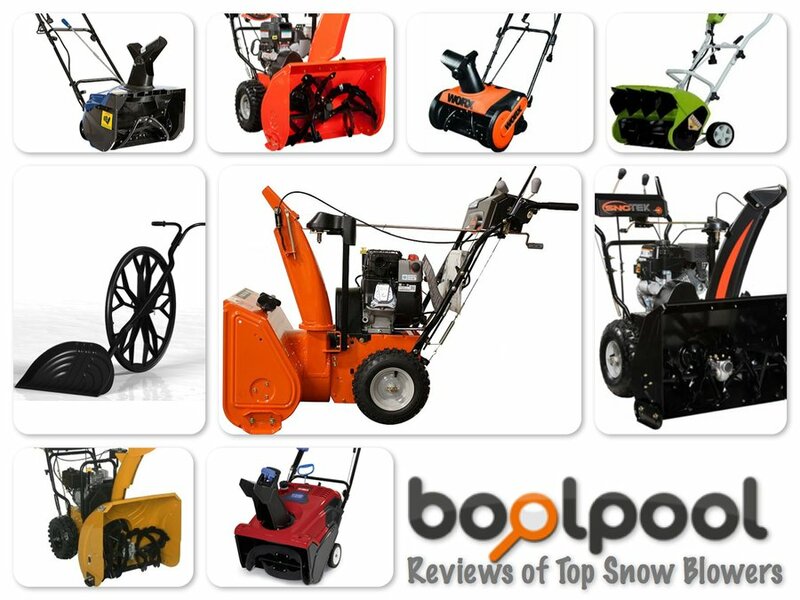 Users love and highly recommend this snow blower. 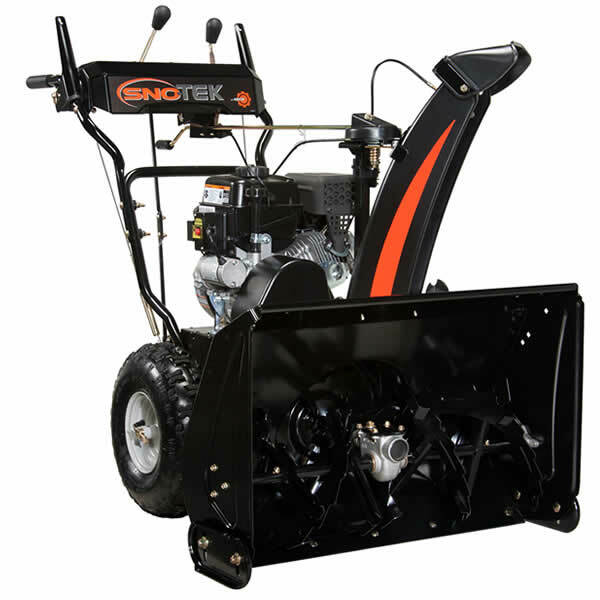 The Sno-Tek 920402 is a Two-Stage Gas Snow Blower with Electric Start and 24 in. clearing width. It features 20 in. intake height, all-steel augers and a 3-blade impeller for powerful and efficient snow removal of any kind of snow. A 208 cc, LCT storm force OHV engine delivers powerful performance. This blower has 6 forward and 2 reverse speeds to match the conditions, and the 205-degree, quick-turn chute to direct the snow. It starts every time in first time with the manual pull start but also has a simple, push-button electric start for ease of use. The rust-resistant exterior helps ensure lasting life. The dual-stage design is ideal for larger jobs or unpaved surfaces. There are Polar Trac tires with pin lock axle to maintain traction in slippery, slushy snow and ice. It does not have a in-dash light. Overall, the Sno-Tek 920402 24 in. Two-Stage Electric Start Gas Snow Blower is an excellent investment for the people living in high snowfall areas. Users love and recommend this machine. 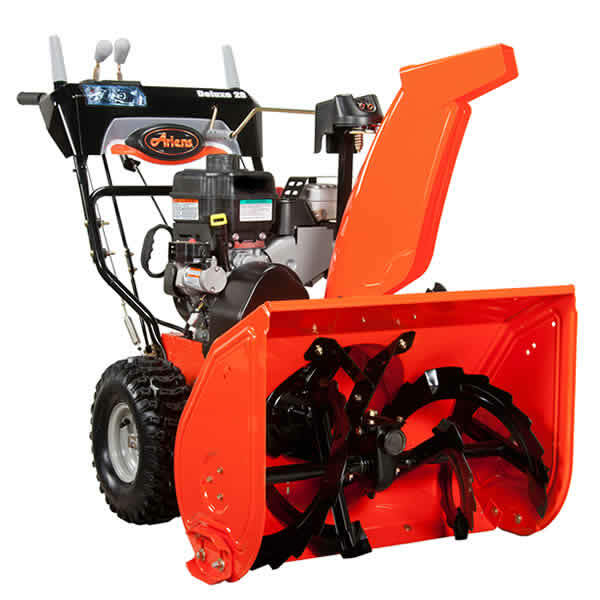 The Ariens Deluxe 921030 Gas Snow Blower is a 2 stage snow clearing machine with an electric start and an auto-turn steering for easy operation and maximum control. This snow blower offers very powerful snow clearing action on light, heavy, dry or wet slushy snow. It features a 254 cc Ariens AX engine. With a 28 in. clearance width and a 21 in. intake height, this rust-resistant snow blower features an electric ignition button for quick starts, and 200-degree chute with remote deflector control to easily change the height and direction of snow being thrown. A 14 in. serrated auger handles compacted snow and ice and aggressively pulls it into the blower while a 14 in. 3-blade impeller provides the driving force necessary to powerfully discharge the snow. There is a large, in-dash halogen headlight that helps provide extended snow removal time and added safety. And who would have thought to put heated handles on a snow blower. Overall, the Ariens Deluxe 921030 Electric Start Gas Snow Blower is a well-built, durable and excellent machine which is built like a tank and performs flawlessly every time when clearing driveways and walkways at home or business. The Poulan PRO PR624ES is a Two-Stage Electric Start Gas Snow Blower with a 24 in. clearing width. It is a perfect solution for clearing any type of snow from any sized driveway. With a powerful 208 cc engine the PR624ES can throw snow over 50 ft.. This powerful, sturdy and well-built machine makes snow clearing simple. This snow blower boasts all metal body including rod for auger, speed control and chute. Nice and big 13 in. high traction snow tires with increased grip makes it easier to push despite its heavy weight. It has nice and simple controls which makes is super easy to use. The Poulan PRO PR624ES is a Two-Stage Electric Start Gas Snow Blower with a 24 in. clearing width. 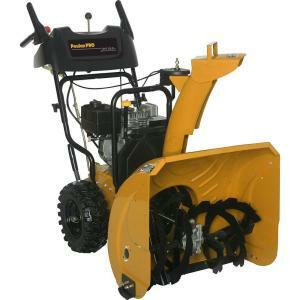 It is a perfect solution for clearing any type of snow from any sized driveway. With a powerful 208 cc engine the PR624ES can throw snow over 50 ft.. This powerful, sturdy and well-built machine makes snow clearing simple. This snow blower boasts all metal body including rod for auger, speed control and chute. Nice and big 13 in. high traction snow tires with increased grip makes it easier to push despite its heavy weight. It has nice and simple controls which makes is super easy to use. This unit does need a little assembly but it is pretty easy and the instruction manual is also easy to follow. Many reviewers find this machine to be heavy and difficult to maneuver. Overall, the Poulan PRO PR624ES with its 24 in. clearing width and 23 in. intake height and rugged 12 in. impeller enables you to handle large snow drifts. It is simple and easy to use machine and is an excellent value for its price. The Snow Joe Ultra SJ620 18" 13.5-Amp Electric Snow Blower is a lightweight and easy-to-use machine that can tackle heavier snowfall on large driveways and walkways. Snow Joe Ultra SJ620 delivers the power of a gas machine with the convenience of an electric unit. Driven by a 13.5 Amp motor, the Snow Joe Ultra moves up to 650 pounds of snow per minute. Its durable, 4 blade rotor, constructed of heavy grade steel, cuts a full 18-Inches wide and 10-Inches deep with each pass. An adjustable discharge chute rotates a complete 180 degrees and a chute deflector can be adjusted to control the height of the snow stream. The scraper blade at the base of the unit efficiently scrapes the snow clear to the pavement. The Snow Joe Ultra SJ620, is powered electrically, making it effortless to start and maintain. Some reviewers would like to see a cord retraction mechanism so that they do not have to watch and wind the cord all the time while dealing with snow. Overall, the Snow Joe Ultra SJ620 18" 13.5-Amp Electric Snow Blower is a smart solution for clearing large driveways and walkways of snow during heavy snowfall seasons. This small and compact machine is definitely worth its price since it saves lot of time and effort on shoveling. The WORX WG650 18-Inch 13 Amp Electric Snow Thrower saves time and effort when you need to clear your driveway and sidewalk of snow. 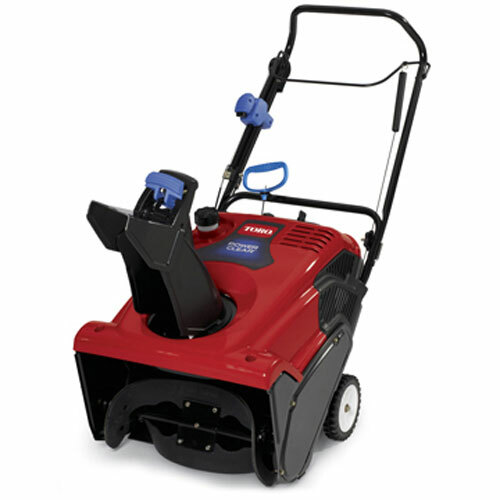 The powerful 13 Amp motor is capable of clearing snow 8 to 12 inches deep and 18 inches wide. There is an oversized chute which is easy to adjust and rotate so that it can throw snow up to 30 ft.. A no-mar steel auger with replaceable rubber tip works well on powdery snow, little wet snow and heavy snow too. This machine is lightweight, easy to use and maneuver with a 3 position adjustable handle. Many reviewers complain about poorly designed chute. The parts on chute come off loose making it hard to use. Also wet snow clogs the chute. 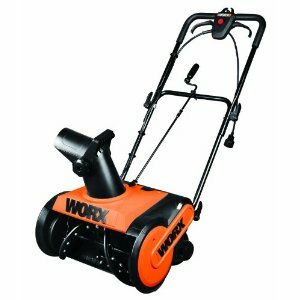 Overall, the WORX WG650 18-Inch 13 Amp Electric Snow Thrower works well with speed and efficiency. This is a perfect machine to clear driveways and walkways of snow without using gas. The Greenworks Electric Snow Thrower comes in two models: 10 Amp with 16 Inches snow clearance path (Model: 26022) and 12 Amp with 20 Inches snow clearance path (Model: 26032). This snow blowers is an easy-to-use alternative to gas-powered snow throwers and works well in powdery or wet snow. An adjustable directional chute, adjustable handle, 6-inch radial wheels, and a cord hook with lock make this tool easy to use. This machine is easy to maneuver and push as it is lightweight and weighs only 26 pounds. Plus an adjustable rubber grip handle bar allows users to set its height at one of three positions for increased comfort, effectiveness, and safety. 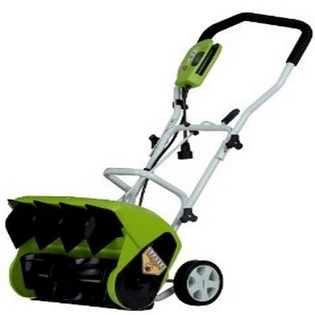 Many reviewers say that this Greenworks Electric Snow Blower can be hard to push in heavy snow. It is meant for clearing walkways and driveways and does not work well on ice. Overall, the Greenworks Electric Snow Thrower is simple and easy to use. Simply flip the switch and it turns on instantly, no gas and no fumes. It saves the money and helps preserve the environment as there are no carbon emissions. The Toro 38361 Power Shovel with a 7.5 Amp motor can clear 300 lbs. of snow per minute. 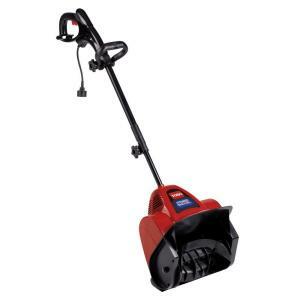 This electric snow thrower is perfect for clearing 6 to 8 inches of snow from decks, walks, and patios quickly. Toro 38361 has good power and can throw snow to a decent distance. The Power Shovel is maintenance free, which means there is no gas and oil to mix, simply plug it in and go. This Toro Power Shovel is very lightweight which makes it much easier to maneuver than a gas unit. A telescoping handle makes it easy to adjust the height based on user. The Toro 38361 Power Shovel with a 7.5 Amp motor can clear 300 lbs. of snow per minute. This electric snow thrower is perfect for clearing 6 to 8 inches of snow from decks, walks, and patios quickly. Toro 38361 has good power and can throw snow to a decent distance. The Power Shovel is maintenance free, which means there is no gas and oil to mix, simply plug it in and go. This Toro Power Shovel is very lightweight which makes it much easier to maneuver than a gas unit. A telescoping handle makes it easy to adjust the height based on user. There is a cord lock system to help ensure that cord does not unplug during use. It is also easy to store in garage or a closet. However, many reviewers complain that this power shovel does not work well with wet snow or chunky ice. The chute has no directional control and it is hard to use when it is windy. Overall, the Toro 38361 Power Shovel with a 7.5 Amp Electric Snow Thrower makes snow removal easy. 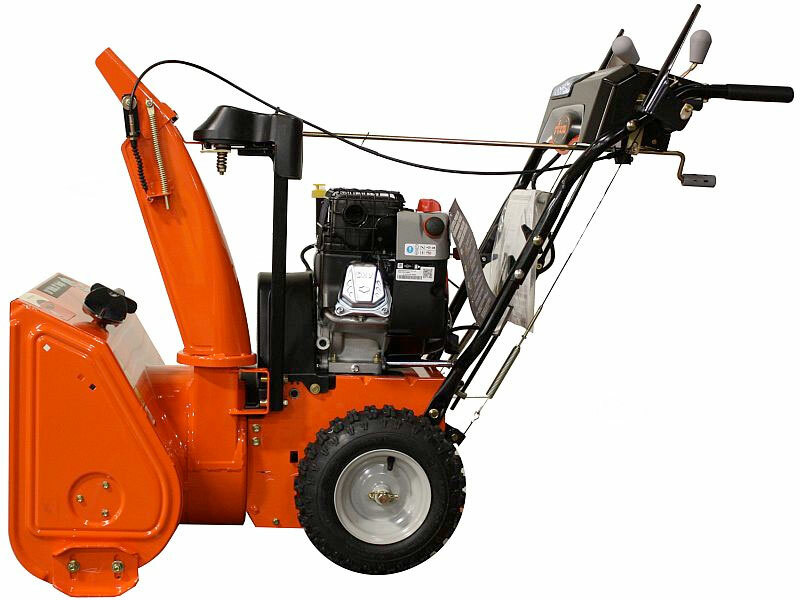 It is perfect for quick and fast snow removal from small areas. Many users recommend this snow blower and say it is well worth the price. 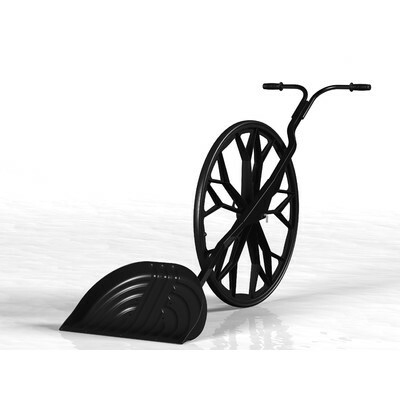 The Snow Wolf SW0310 Wheeled Snow Shovel is a manual snow removal tool with pollution-free environmental standards and zero carbon footprint in usage. 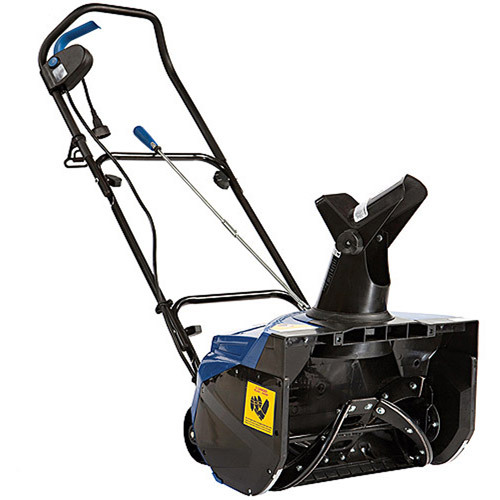 With its big wheel and good handle design, it performs equal or better than a snow blower. This simple and easy to use shovel is designed to minimize the physical strain of shoveling and the related risks of back, hip and joint injuries. It works well on all types of snow, slush and ice. A good folding design makes it very easy to store the shovel when not in use. Overall, the Snow Wolf SW0310 Wheeled Snow Shovel is highly liked and recommended by users. It is simple and easy to use and also clears away snow 3 times faster than shoveling.